About Us - Vertis Technology Solutions Ltd.
We offer a wide range of solutions and services. Our team do remarkable things to enable businesses, government and communities to achieve their best and address their toughest challenges. Vertis Technology Solutions Limited is an IT services and solutions provider partnering with clients to foster technology innovation. We simplify IT complexity and transform their businesses to experience return on their IT investment. Our DataCentre, Cloud, Staffing and Security solutions enable our Small and Medium(SMEs), Enterprise and Government clients realize their potential and meet the needs of their internal and external customers. Our mission is to enable our clients capitalize on opportunities that present themselves whilst offering great customer service. We guide them through the transformation of their businesses by developing, implementing and managing world class, cloud ready, secure and agile IT Infrastructure solutions. We deliver this technology expertise through a full life cycle model of professional, managed, and support services including strategy, consulting, implementation and design. We stay at the forefront of technology trends. To ensure our clients have access to a wide range of technologies and best-of-breed solutions, we partner with over 50 technology providers including market leaders and emerging to bring our clients integrated and multi technology solutions. Through our team members with the highest IT certifications in their respective fields and collectively over 100 years implementing and supporting solutions we are the preferred provider of innovation and transformation. We are trusted advisors to our clients on a national level while also bringing our international scale and expertise to bear. True success comes from working with a partner you trust to provide innovation , support and knowledge that will take your business forward. Vertis Technology Solutions Limited gives you results and partnership. When you choose us, your continued success is our mandate. We offer you the ability to achieve your objectives and capitalize on every opportunities presented to you. With over 100 years combined experience in the IT field implementing, supporting IT solutions and services from medium to large enterprises, we pride ourselves in delivering value service. Our customers are dear to us and we ensure that we know their mission and give solutions that achieve the mission well. Our commitment to our customers defines how we do business and our years of experience working across industries underpin the vast array of services we offer. Ryan Sterling is the CEO of Vertis Technology and serves on its Board of Directors . Ryan is responsible for all of the company’s worldwide sales and operations, including end-to-end management of Vertis’ sales activities along with service and support in all markets and countries. He also headed Vertis’ Operations Department and played a key role in the continued development of strategic re-seller and supplier relationships, ensuring flexibility in response to an increasingly demanding marketplace. Ryan has over 7 years in Sales and the IT industry. 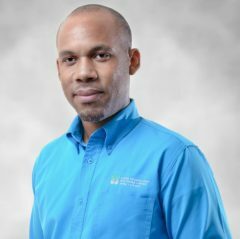 He has earned a Bachelor of Science degree in Sociology from The University of The West Indies and numerous Sales and IT certifications. Cameille is a member of Vertis’ Executive Team and serves on the Board of Directors. As head of the Operations and Marketing, Cameille leads a talented and creative team focused on Vertis’ advertising, internet presence and other consumer-facing marketing. Cameille focuses on Vertis’ critical capabilities, connecting internal functions under a calibrated Operations team, which scales an operational model that is necessary to support Vertis’ growth. 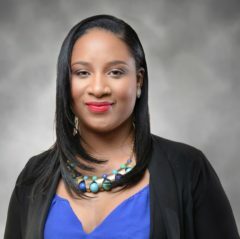 Cameille has over 10 years of Marketing and Management experience with a Bachelor of Science degree in Marketing and Financial Services. 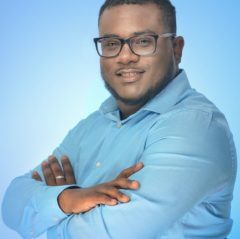 Michael is a business leader with significant business transformation and technology enablement experience, driving growth and productivity improvements in both large and mid-sized enterprises. He has a strong record of success in creating robust IT and Engineering organizations. Michael has a proven ability in adapting/maturing technology organizations to solve business issues while managing costs and risks. He leads Vertis’ Service and Solutions Teams.